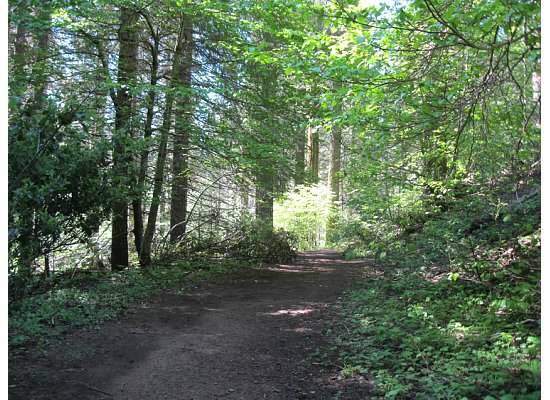 This is also a good trail for skiing and snowshoeing during winter. 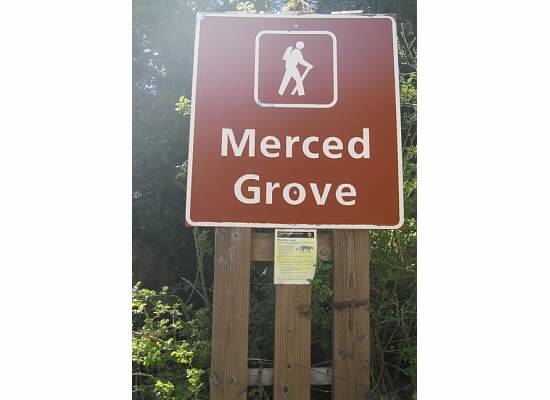 Merced Grove, though the smallest of three Giant Sequoia groves in Yosemite National Park, is my favorite because it’s the most secluded and least crowded. 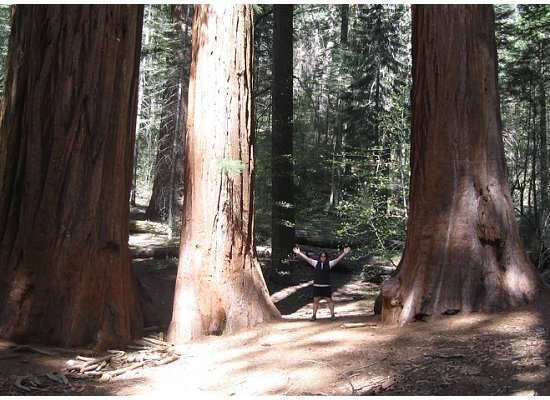 Chris and I visited the grove to see some of the largest living things on earth. These old trees have plenty of tannin which helps keep them immune from insects and fungi. We entered the forest from the small, paved parking lot. There, the path was wide and the dirt soft. We walked through the din of chattering birds and squirrels. The flat half of the trail. At a signed fork in the trail, we headed left and descended six hundred feet on a narrower and rockier path. Below the trail, Moss Creek flowed silently and dogwoods bloomed under a canopy of towering pines. There were several dogwoods in bloom. 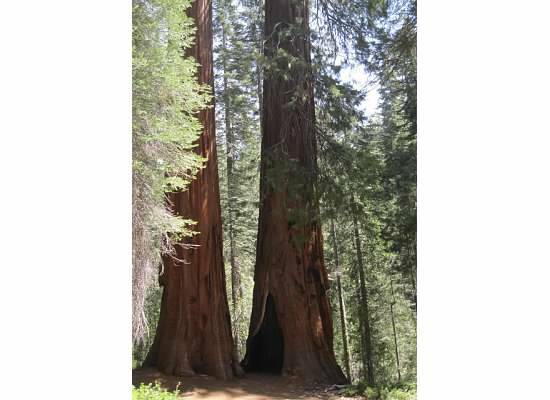 We approached the ancient grove at the forest floor where five sturdy Sequoias stood like sentries protecting their home. 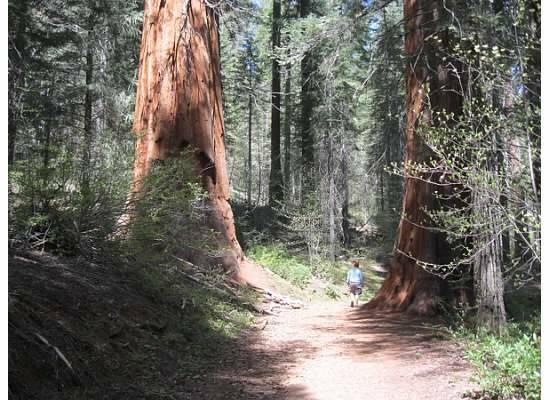 There are about 20 Sequoia trees in this grove. From there the trail leveled. 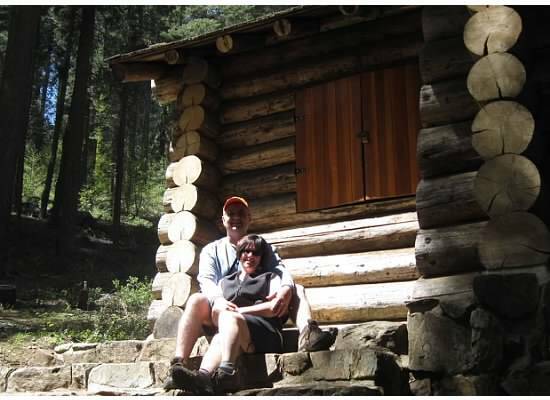 We walked in awe passed several more Giant Sequoias and dogwoods until we reached Russell Cabin. 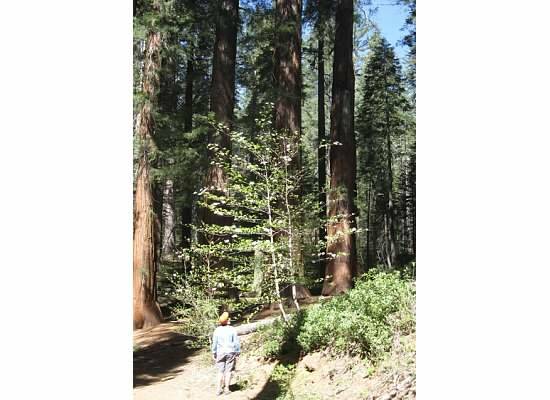 Youthful dogwoods amid mature Sequoias. 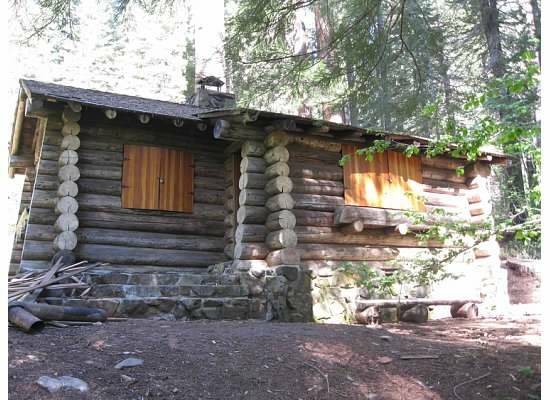 Russell Cabin was constructed in the 1930’s and served as a ranger station and a place for an occasional retreat for the park superintendent. We sat on the sunny porch looking at the trees of the forest. 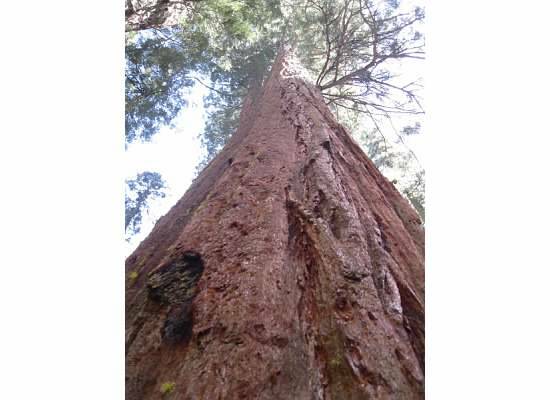 Across the cabin steps sat two Sequoias, one that suffered burn damage at its base with a scar large enough to stand in. Scarred by fire, but still living. The trail continued beyond the cabin through a lush greenness that thoroughly bespoke spring. The end of the cleared trail. Beyond was a jumble of fallen trees along an unmanicured path. 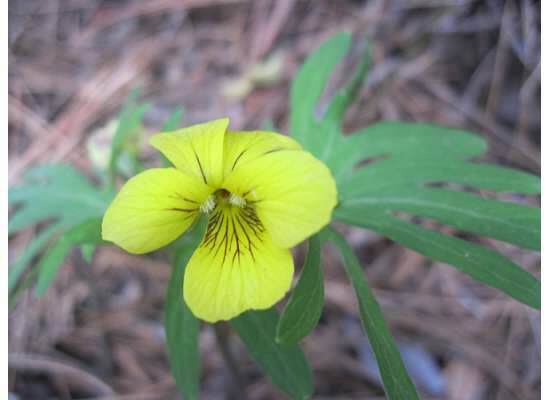 We left the cabin and traversed the uphill path passing only one or two wildflowers on the way back. I wondered what was going on in the world when these old trees were sprouting? Though I didn’t know the answer off-hand, I was content to be near them and to touch them knowing that they will be standing long after I am not. 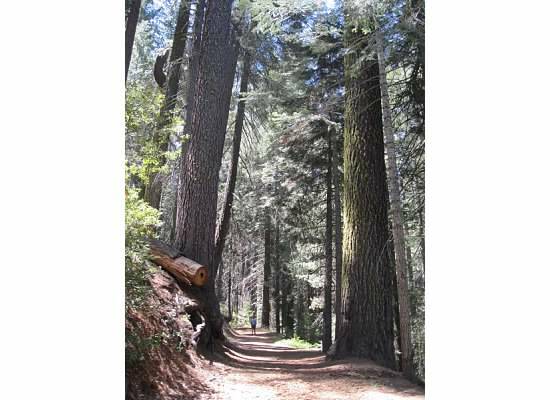 Walking back between two Sequoias. 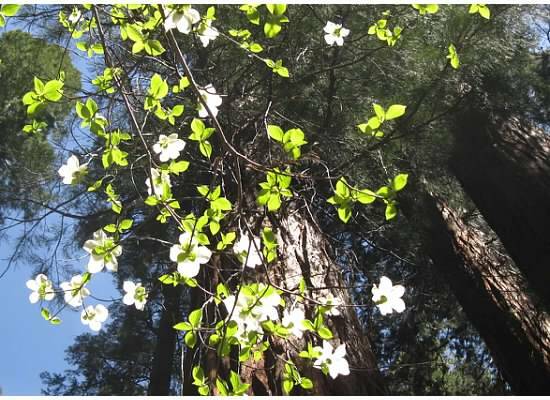 This entry was posted in Yosemite Hikes and tagged Dogwoods, Giant Sequoia Trees, Merced Grove, Merced Grove of Giant Sequoias, Russell Cabin, Yosemite, Yosemite National Park on May 18, 2014 by Janet. Another great walk in the woods. I never get tired of reading your blogs and looking at the great pictures. I’m happy that you live close enough to take advantage of the opportunity to explore such a beautiful area!!! After living in Minnesota and exploring all that it has to offer, I am amazed at the wonder of Yosemite. Thank you for sharing all of your hikes and exploring of the region. Okay… I live in the Pacific Northwest (Washington) and I’m no stranger to big beautiful trees however…your pictures left in in awe. Only our great God could create such magnificence. Seeing all that nature has to offer only increases my faith. Thank you, Ellen. Thanks, Janet! We’ve been at the start of this walk…..last time a bear was blocking the way….so we turned back! How cool to see a bear, but I agree, I would have turned back too. Did you get a photo? Photos and narrative are inspiring! 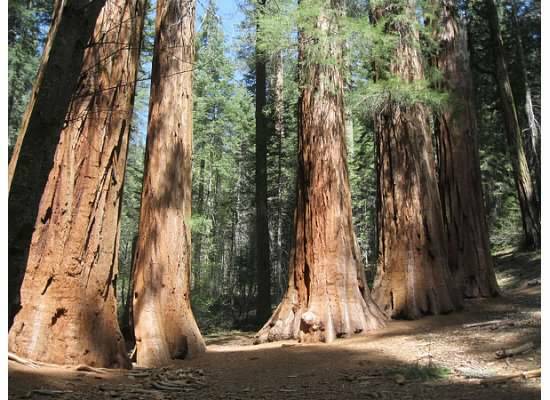 I’m glad you brought the ancient sequoias to life for us. I LOVE dogwood season, I will have to get out there soon! I think it happens sooner that we anticipate. Great photos–makes me feel like I am tagging along on your walk.